We’d play “Put the Baby in the Manger” (as opposed to “Pin the Tail on the Donkey”) and break open a star-shaped piñata (after following it all around the house like so many wise men). I’d read the Christmas story aloud while the kids colored pictures of the manger scene, then we’d dress up in oversized T-shirts and fabric scarves (gold lame’ for angels, wool or muslin for shepherds) and act out the story. 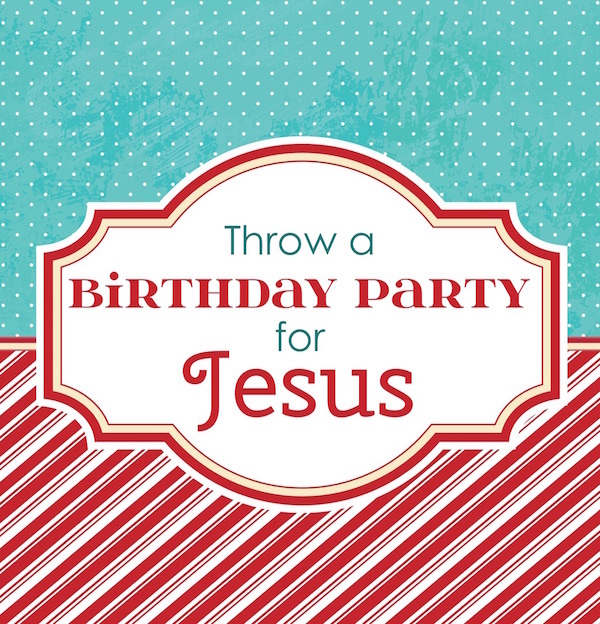 Afterwards, we’d bring out the birthday cake and ice cream and sing “Happy Birthday” to Jesus. As our kids got older, we eventually replaced the neighborhood birthday party with a “Shoebox Stuffing Party.” All the guests bring goodies to put in boxes for Operation Christmas Child, and we all wrap and stuff the boxes together. Since most of the children who will receive our boxes live in countries where rice and beans are staple foods, that’s what we usually serve for dinner at the party (although, more often than not, we still have birthday cake, as well). Once the boxes are filled, we gather around them and pray for the kids who will be receiving our gifts. This is a great service project for the whole family. No matter how you choose to celebrate, keep your focus on CHRIST. He’s the original birthday boy! « WOW: Shopping for Something that Satisfies?